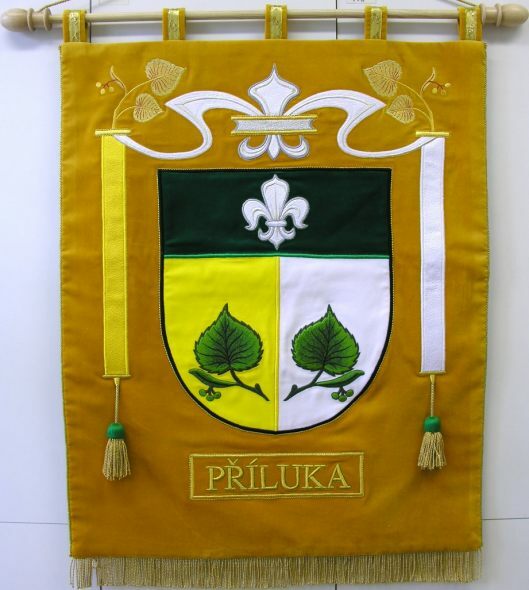 Splendidly decorated wall emblems evoke a very special and very pleasant feeling when entering company, office or club premises. 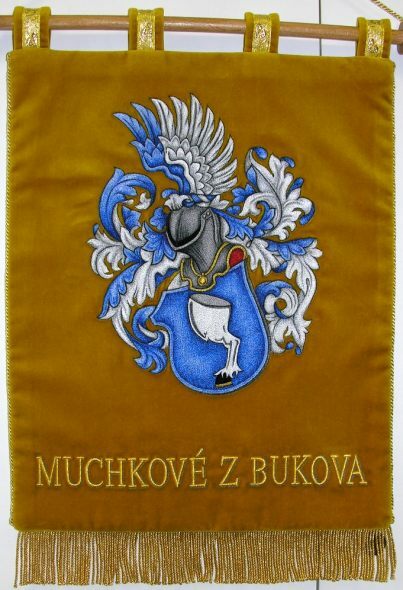 Wall emblems are mainly installed in visitor or conference rooms. 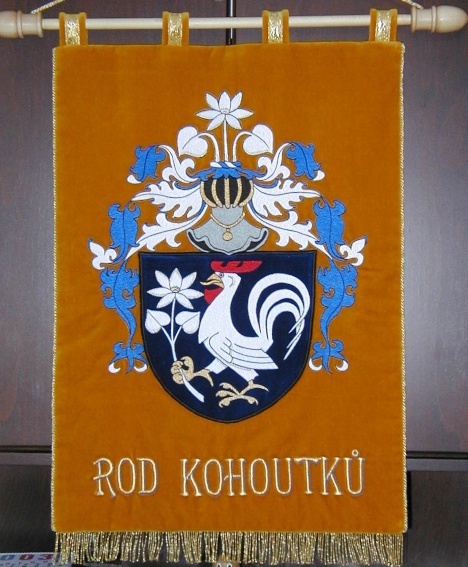 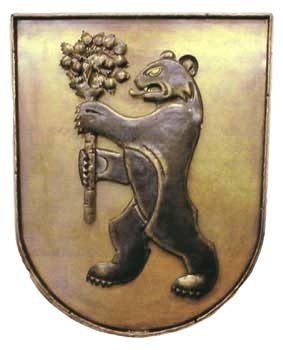 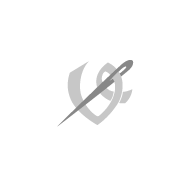 For example, municipal emblems are often present in mayor or municipal council offices. 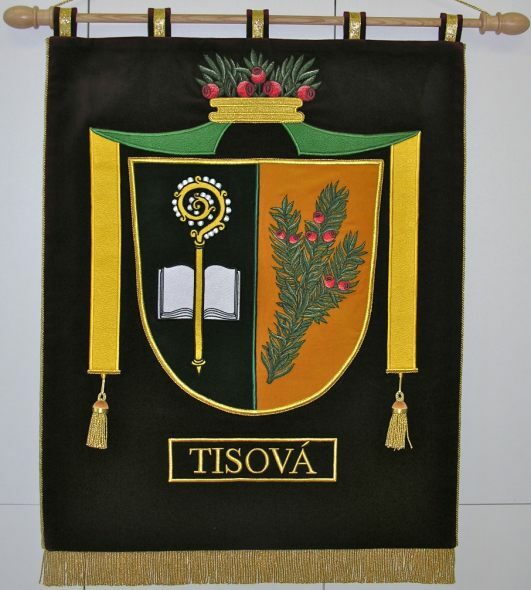 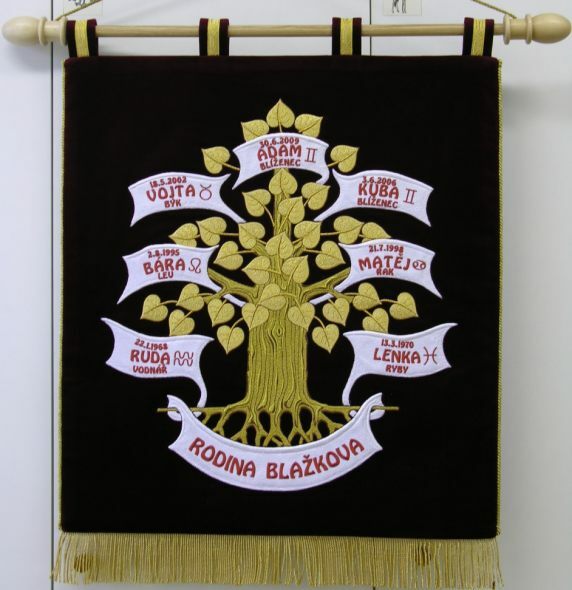 Embroidered wall emblems are usually supplied with a wooden bar. They are single-sided as they are installed on the wall. 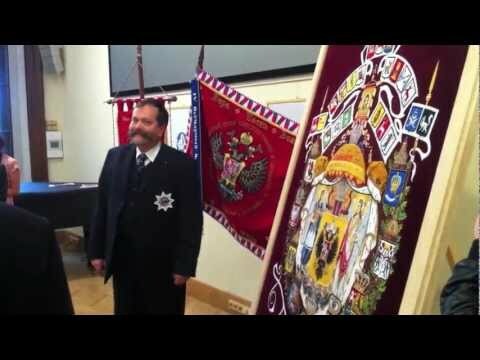 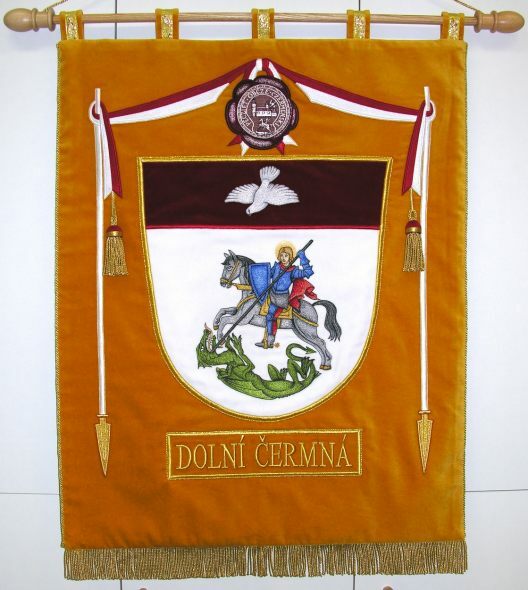 Wall emblems and coats of arms are manufactured of the same kind of material and type of embroidery that are suitable for festive flags. 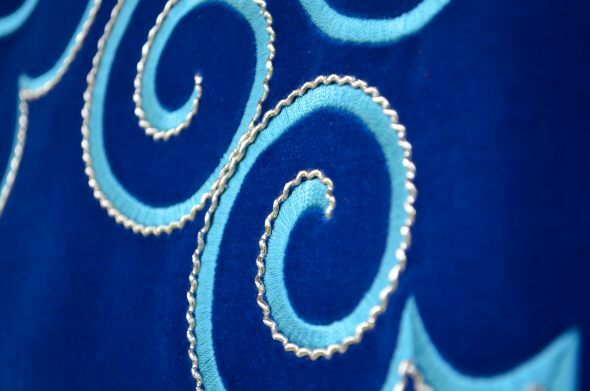 The most frequently used material is velvet highly artistic embossed embroidery. 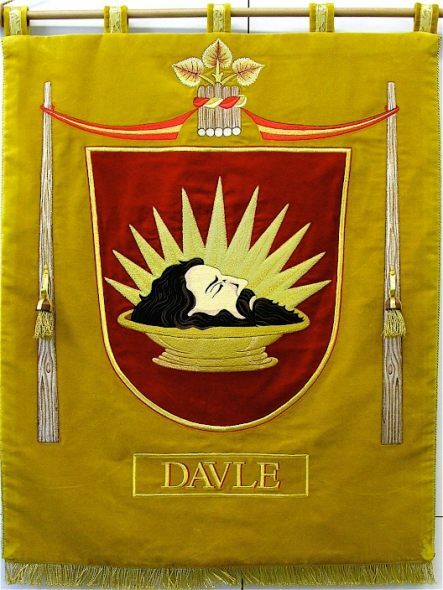 You can choose between a simple version without any further decoration (just the emblem) and a more opulent version where the theme of the emblem is accompanied with suitable decorations in its surroundings which always match the theme of the emblem itself. 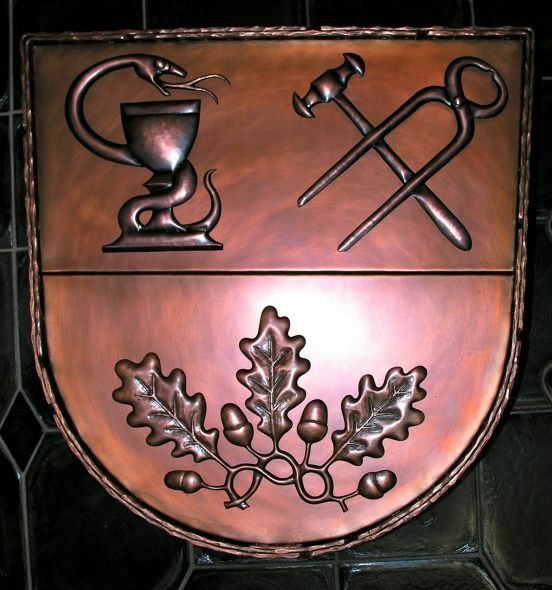 Forged wall emblems are made by our artistic blacksmith. 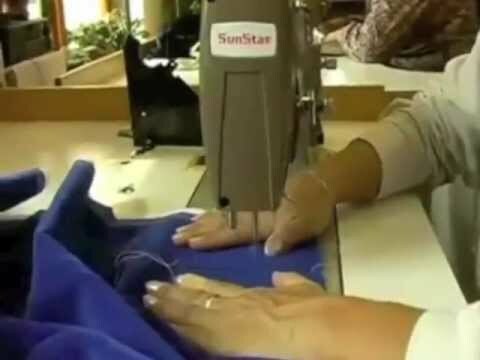 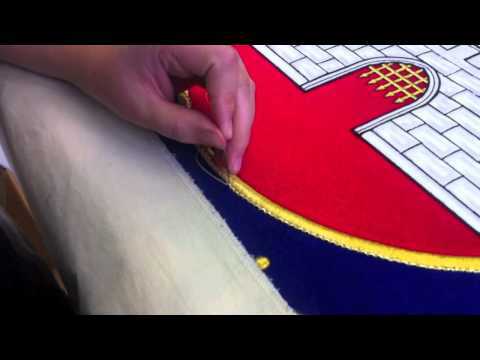 He creates an embossed design of the emblem, which is ordered as special piecework. 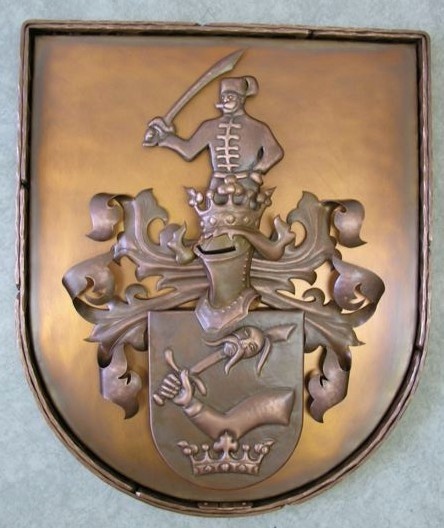 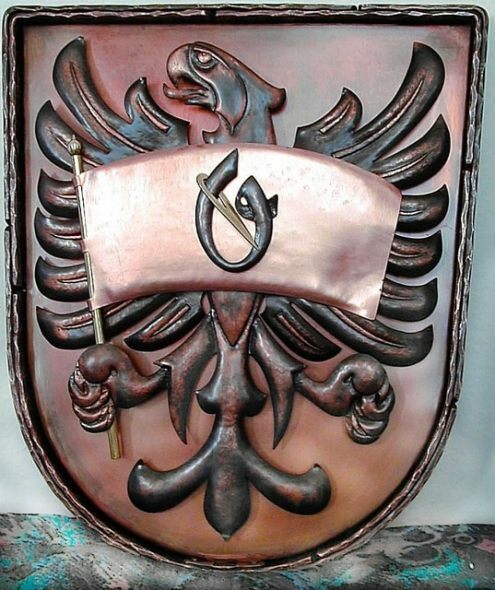 The forged wall emblems are made of copper and iron. 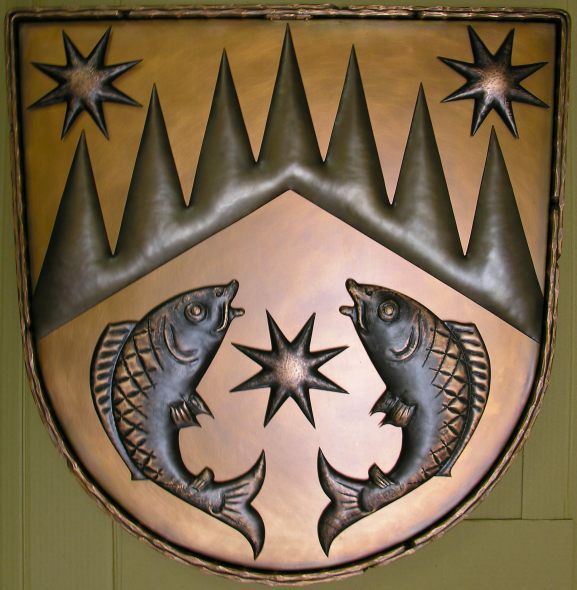 Enamelled wall emblems are offered in the shape of a dished oval (approx. 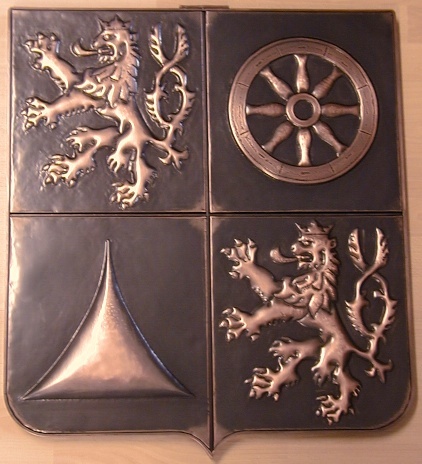 45 x 60 cm) or a Spanish shield (approx. 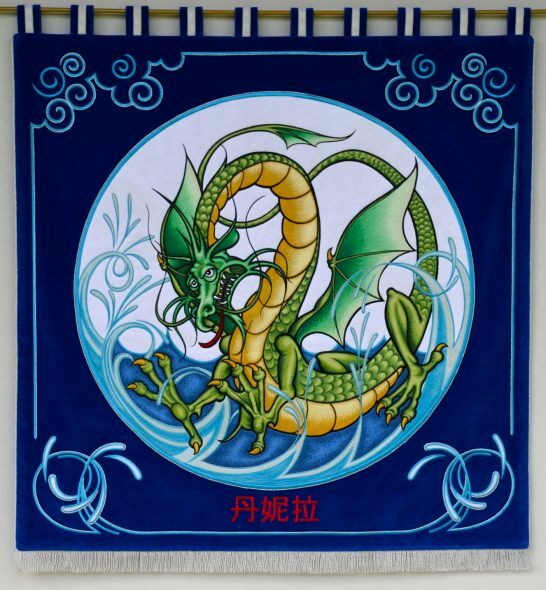 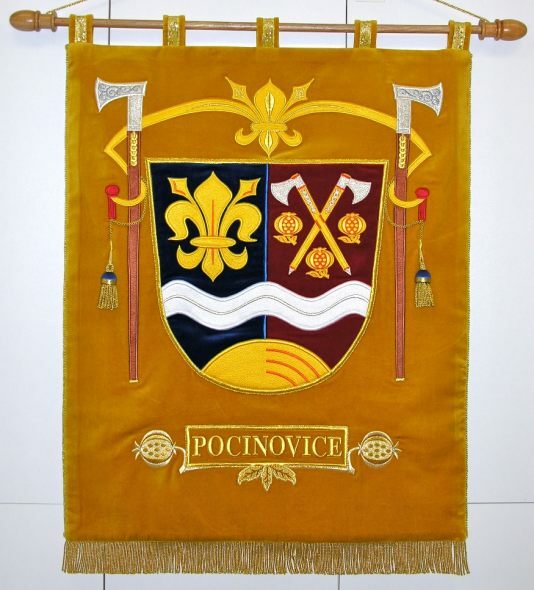 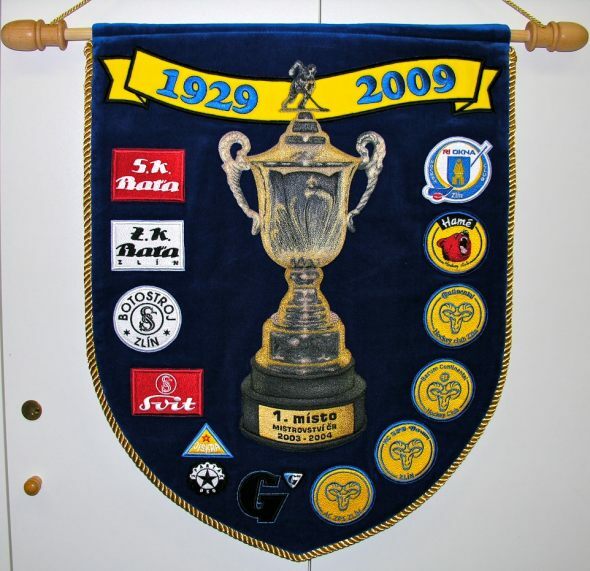 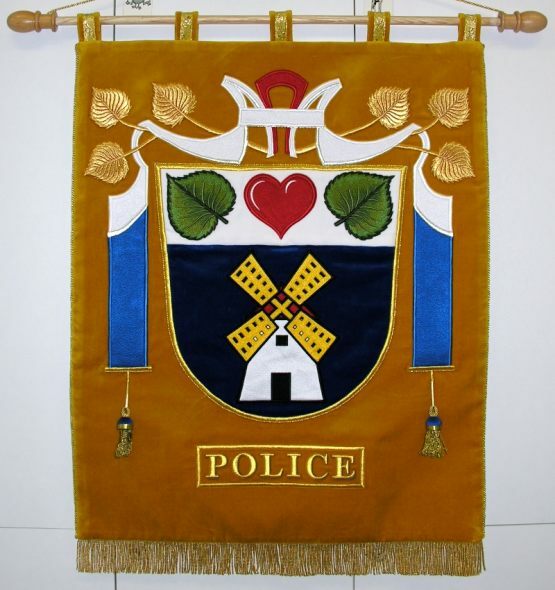 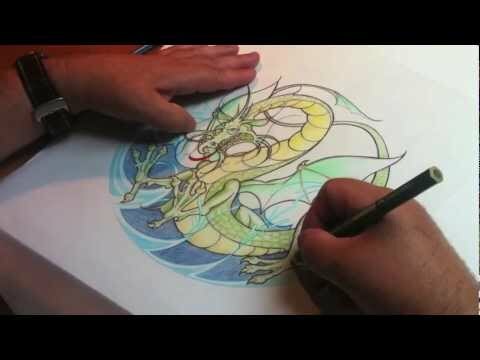 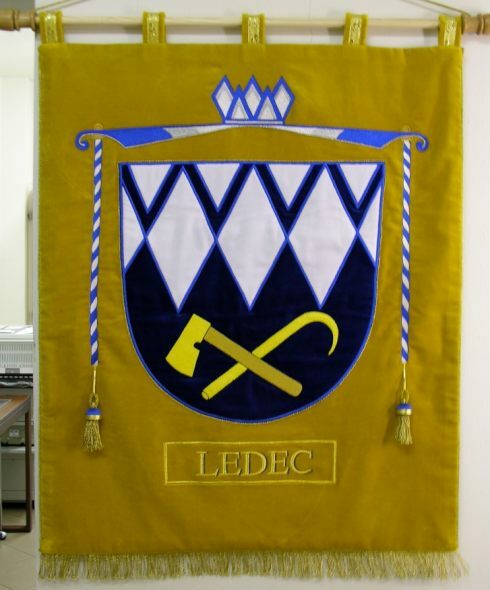 55 x 75 cm), either in a cheaper version where the emblem and inscriptions are made of special self-adhesive film with UV protection, or in a more expensive version with classic enamel. 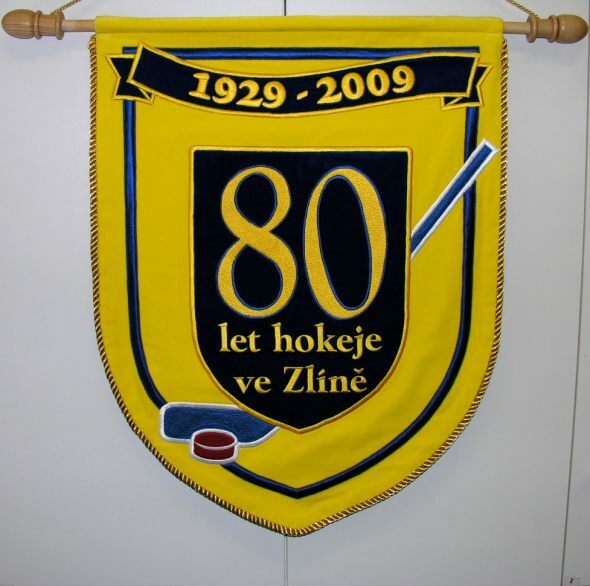 For associations and clubs, we can develop an array of representative items. 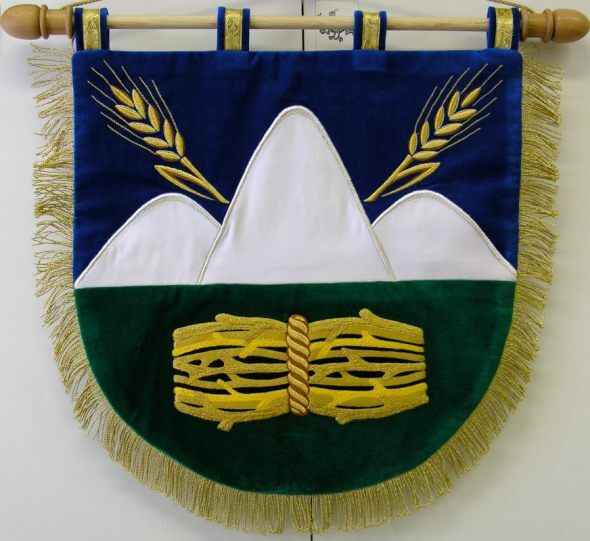 For example, we supply football club or fire brigade emblems, as well as emblems for Scout, apiarian, gamekeepers' or other associations.